This is Sally from Malaysia. It’s been awhile since my last post, and many things had happened in between. Like traveling around Asia, changing job, getting married (that’s lots of fast forwarding lol). Well, many things happened so let me start talking about one of them. I originally thought we can’t get Permanent Residency (PR) in Japan without 10 years’ stay here. But that was until recently that a friend told me that with the Points-based system for highly-skilled foreign professionals, if you score sufficient points you can get PR with even just 1 year’s stay in Japan! So I tried my luck there and then, and with 7 months’ long wait, I got it through finally!!!! Gathering the documents required for the application was tedious and requires much cross-checking, and I couldn’t have done it without the selfless people who had lend me a hand during the process. So I though it would be helpful for other applicants by making a guide for the PR application! It looks complicated in a glance, but let’s look at them one by one! Among these, I should belong to the 3rd category “Engineer/Humanities/International Services” with my working visa in Japan. Yet if one scores sufficient points in the point system, one can apply for PR as the 4th category, highly skilled foreign professionals. With this, the 10 years of stay in Japan will no longer be required! Next, let’s see what the points are all about. For a white-collar working as a company employee, one would fall into the 2nd category, Advanced specialized/technical activities “Highly-Skilled Professional(i)(b)”. So I checked my points for that category and applied. If you want to know more about this point system, please look at the Immigration Bureau page below for the FAQ, which is quite useful. To check your scores, add up the points of each field in this point calculation form. Please see Point Evaluation Mechanism page for more information on supplementary documents. In the 2nd worksheet “Advanced specialized･technical” of the point calculation form, you can see there are points allocated for your academic level, years of employment, annual payment, age, qualifications, Japanese proficiency etc. Actually if you can score more than 80 points in any of these worksheet currently as well as for circumstances one year ago, you are only required to submit the certificate of your current tax payment. Please refer this page in Japanese for more info on the required documents. If you currently score more than 70 but less than 80 points, then please make sure you can score more than 70 points in circumstances 3 years ago. If yes, then you can apply by submitting 3 years’ certification of tax payment. Please see this page in Japanese for more info on require documents. I scored above 80 points so I have submitted 1 point calculation form score based on my current circumstances, another for circumstances a year ago and also my certificates to verify my point scores for each field. I will talk about the certs in later section. Now that we have got the points checked, Let’s move on to the PR application form, statement of reason, and letter of Guarantee. For the application you can get it here, PDF version and Excel version. Filling in was not so difficult but if you want to play safe I recommend to check this page in Japanese for detailed examples. 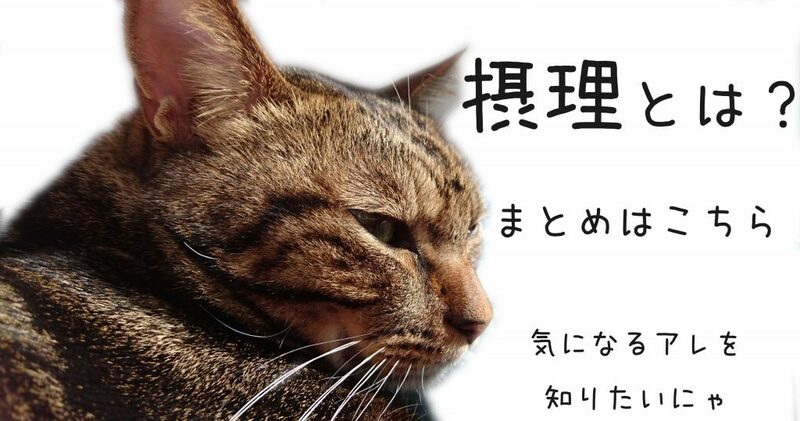 The statement of reason does not have a specific format, but you have to write it in Japanese. I referred to this article for the general format and content. It seems that the statement of reason is quite important, so in order to show that you have the ability to express yourself in Japanese, you should make sure to get some Japanese friends to check your essay once you are done writing. I too have received help from a few friends, including the blog host, Rio-san. Thank you guys! For the content, I wrote about my life as a student, my job-hunting process and also working experience in Japan. At the end I wrote about the reasons why I want to continue to stay in Japan, all in 2-3 A4 pages. This statement will be a way to discern whether you are appropriate for PR, so you should write more about what you have done up till now, your financial capability and adaptation to life in Japan, and your future goals in Japan. Below is a general format of statement of reason from the article above. For Letter of Guarantee, you can get it in Japanese or in English. Who can be your guarantor? Actually not only Japanese nationals but also foreign nationals who have PR in Japan can become your guarantor, as long as they have a stable annual payment. A guarantor is not liable for anything if the application breaks the Law etc. just that the guarantor’s power will become weaker for the next applicant if any, according to this site. Above are all the forms required! Only half way to go!! The following are the required certificates for the applicant. Some are to verify my scores in the point calculation form, and some are for my personal identification. I think everyone knows how to get most of the certificates above, but let me elaborate a little on the certificate of tax payment. It would be really convenient as it is similar to certificate of residence, if you have your My Number Card you could print out the cert at the photocopier in any convenient shop, at anytime. But if you don’t, you can also apply at the tax-related counter in your nearest city hall. These are not a must, but it would be a plus if you submit along some copies of certificate/letter of gratification. Even if it seems trivial, you can write about it in your statement of reason too. This is because these will shout out to the screener that you have contributed to the community during your stay, and it would be beneficial to have you staying longer in Japan. For me, I sent in copies of my letter of gratification from city hall for my translation service, my letter of awards for writing to a news publisher, and also an award from my company for filing in a patent etc. Well done! These are all the documents required! How about it? I have gathered all these in about a month while working full-time. Last but not least, the require documents are listed up in the following 2 pages in Japanese. Here are the jist, with the download links as well. If you’ve got everything done, then it’s finally time to visit the Immigration Bureau for PR application! I went to the Tokyo Immigration Bureau, which was packed full of people even before 8am, and it took me about 2 hours each to submit my documents, and also to retrieve my PR. So if you are planning to apply at the Tokyo office, then be sure to spare enough time for it. There are other bureau offices you could apply too, as listed here. After submission, you could call up the info center to check up your status, only if you have waited for more than 6 months. Phew! It’s such a long article, so thank you for reading until the end. If you find this informative, please share this article with potential PR applicants around you. I’d be truly happy if it could be of use for future applicants!